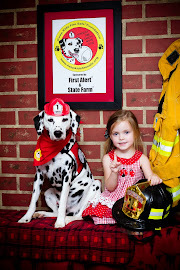 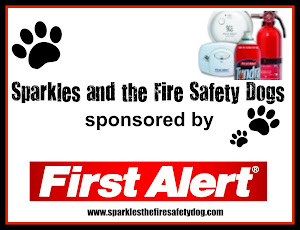 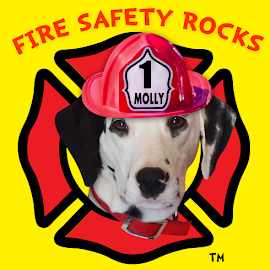 Siren is in training to become a fire safety dog, just like Sparkles and Tango. 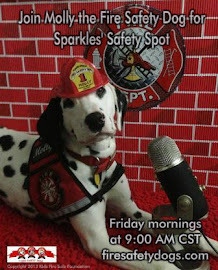 It won't be long before he is wearing his own red vest! 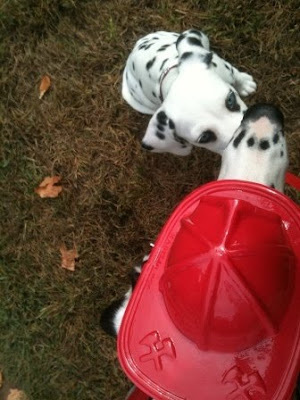 Oh, that is some seriously sweet admiration. You can do it, Siren!